Tucson Daily Photo ~: Misleading license plate? False advertising? Don't know how "hard up" you can be if you're driving a $35,000 truck! 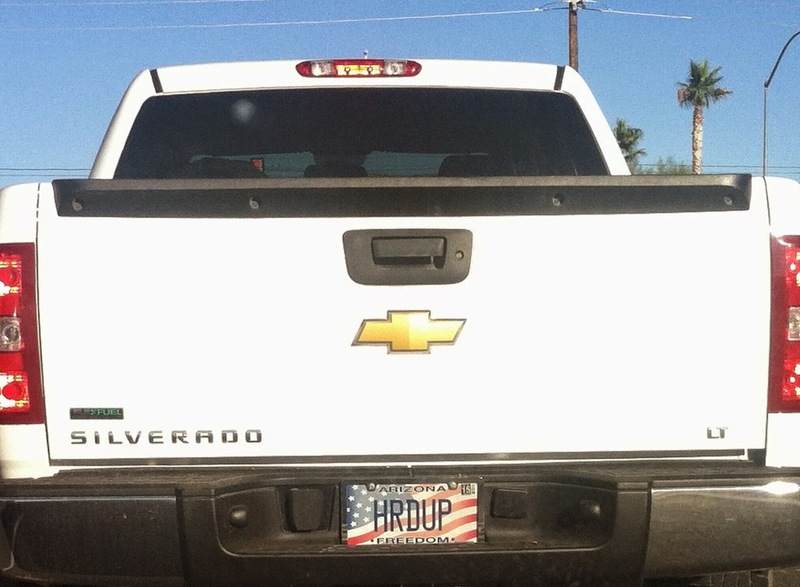 And why would you pay the extra fee for a vanity plate that says "Hrdup" anyway? Mysterious! Never heard that "word" before. Hi Stefan! It's an American slang expression that means "poor" or "needy." Hence the irony of a guy in an expensive truck claiming he is "hard up."